Join the over four million kids worldwide who already have a head start! Where Smart Kids Get Smarter. Your City or Zip Code are invalid. *You have requested information from Kumon Canada, Inc. about the Kumon program and Kumon Math and Reading Centres. From time to time we may send you additional emails about Kumon. You may withdraw your consent and unsubscribe at any time. 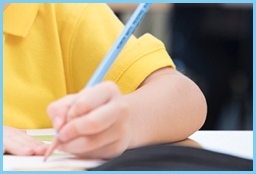 The Kumon Math Program makes math easier by developing number counting, writing and sequencing, before moving on to addition and subtraction, at an individualized, comfortable pace. 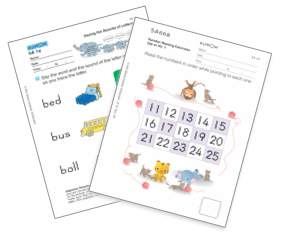 The Kumon Reading Program uses “look, listen and repeat” worksheets to help pre-readers connect words with objects, then builds on progressive literacy skills for improved reading comprehension. Kumon Centres are independently owned and operated. Additional fees may apply. © 2017 Kumon Canada, Inc. All rights reserved. Why choose Kumon for your early learner? 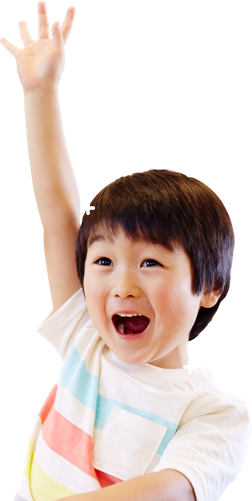 Learning with Kumon is active and fun, all while developing early math and reading skills that will help children enter school with an academic advantage. Kumon helps preschoolers prepare for kindergarten by improving attentiveness, building perseverance, promoting independent learning and strengthening organizational skills. Kumon inspires children to be curious and want to learn more from feeling confident and proud of their personal achievements. Your children will work on Kumon’s engaging, colourful worksheets that have undergone over 60 years of careful design and evolution. A couple of times a week children complete their worksheets at a Kumon Centre, and the remaining days with you at home. Each subject takes around 20-30 minutes a day. Preschoolers develop fine motor movements, giving them an advantage later when it comes time to learn to write and perform the tasks expected of them in school. '; //} item += "
'; // close top col left item += "
'; // close top item += "
'; // close bottom left //item += "